At its core, the game we are featuring here today is stupid… So if you are a serious player who doesn’t enjoy anything short of “dead serious”, you may want to skip this article. 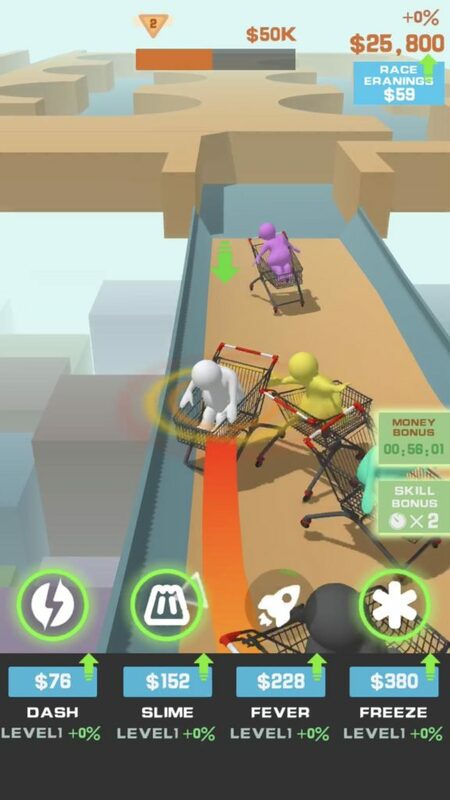 If you’re a big fan of games that essentially play themselves, allowing you to focus some or even all of your attention on more important things going on in your life while still feeling that the satisfaction of playing a game – I know it may seem kind of pointless, but people are strange, and we do things like this – Trolley Trials may be the sort of game you’d like to check out. 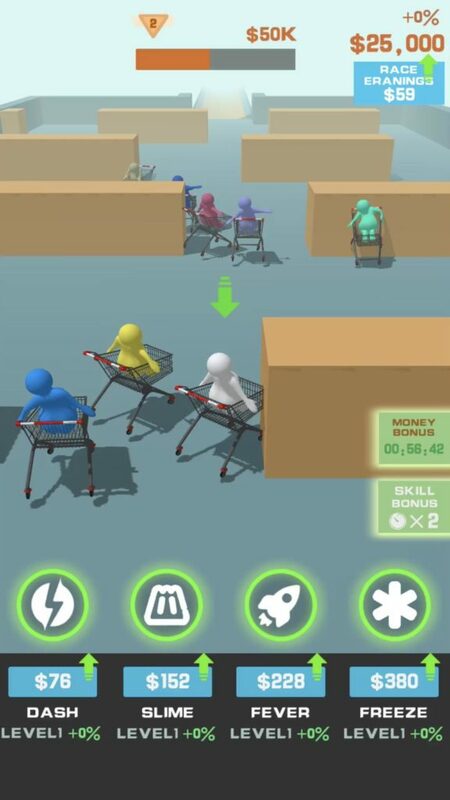 And to make things worse, you literally have no control over your trolly at all! 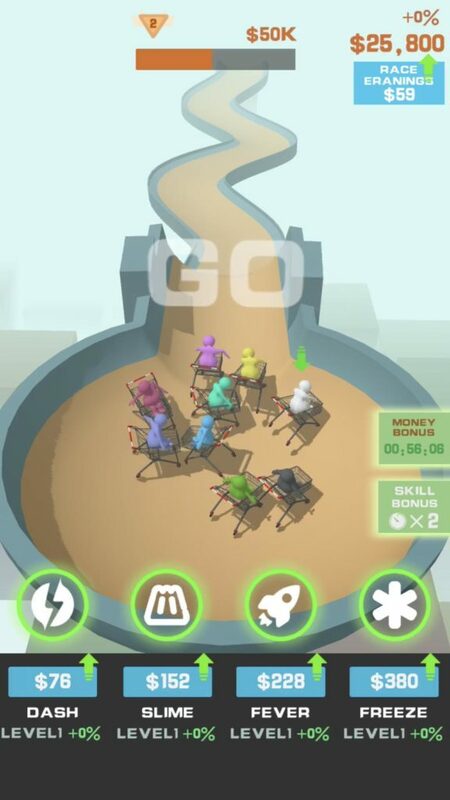 Every few seconds, you will be given the option to use 4 different boosters as such which can be used to push your trolly forward a little faster, or drop something down that will hopefully get in the way of your opponents. If you were a developer, you could literally implement this feature into the infamous DVD screen saver that is used in way too many memes and call it a day! 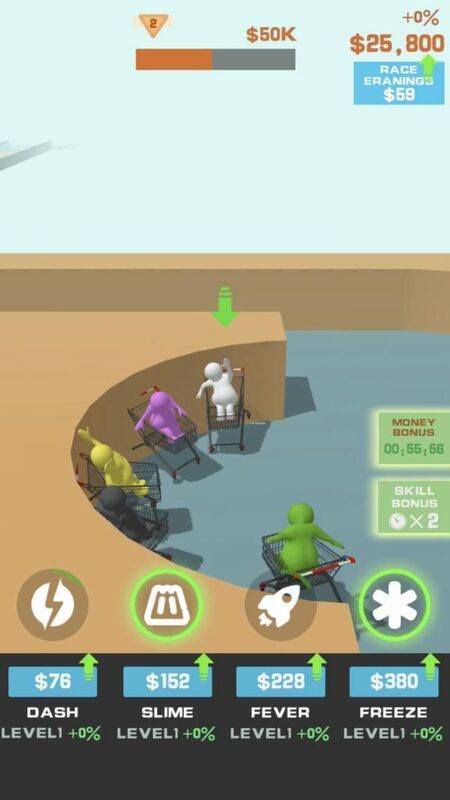 At its core, this is how mindless Trolley Trials actually is. Mindless nonsense you can download on your phone right now! Should you download this game? Probably not.